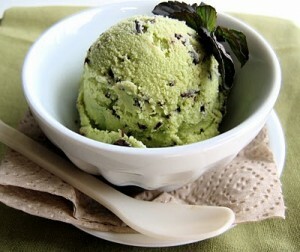 Today is National Chocolate Mint Day, and it’s celebrated on February 19 of each year. According to the International Dairy Foods Association, Chocolate Mint, also known as Mint Chocolate Chip, is the 10th most popular ice cream flavor. This happens to be Mandi’s favorite ice cream flavor, so it’s a good excuse to enjoy a bowl of Chocolate Mint ice cream today. Yum! Happy First Day of Spring 2014!